KIPP THRIVE Academy was founded as our second Newark elementary charter school and is located on 18th Avenue in the city’s Central Ward. 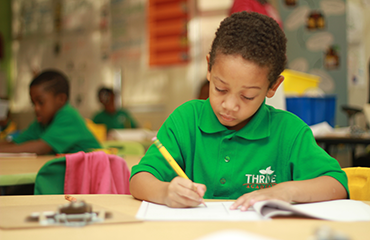 Focused on preparing students for college from the day they start kindergarten and serving students in grades K-4, THRIVE’s state-of-the-art educational campus offers two gyms, a playground and spacious, newly renovated classrooms. 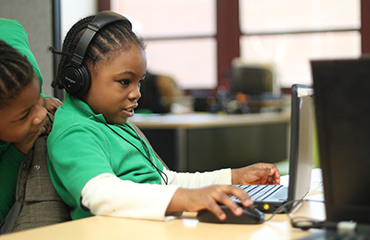 Even in the first months of kindergarten, we give students access to great technology, including a 1:2 computer to student ratio, and build it into our every day. They also learn science and inquiry skills to understand the world around them. Exposing students to the arts can have a big impact on their development, confidence, concentration and teamwork. Our students take performing arts, dance and music classes twice a week. 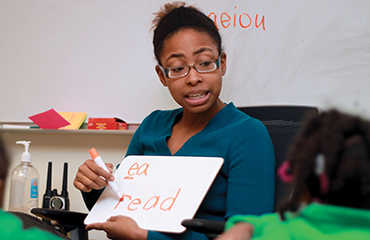 Just a few ways we try to help them become creative, well-rounded individuals. 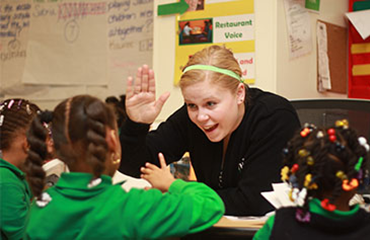 Check out all the resources KIPP THRIVE Academy has for students and their families on our School Resources page.